For the first time the RAE and the Asociación de Academias de la Lengua Española (ASALE) offer a very detailed orthotypography that complements the rules of writing and digital style. In order to make it easier to consult the information in a highly practical way, a comprehensive glossary is included that includes concepts, questions of all kinds, examples, rules and recommendations. 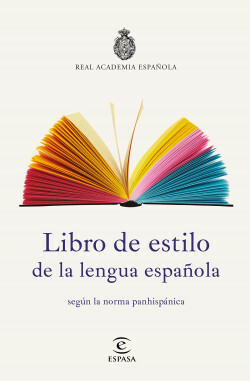 A Spanish style manual, with special attention to digital writing that shows the evolution that certain grammatical, spelling and lexical issues have undergone in recent years.